Home Blog Why Should You Avoid Loading Power Points in Your Home? Modern homes are characterised by the number of electrical appliances set up and used. The number of electrical items that have been invented for domestic usage is indeed astounding. So many of these electrical items have just come around over the last 2 decades. While they of course are ergonomic, the point is that they run on electricity which means you need to have a good number of electrical power points to put to use. Rooms in most houses have at least 2 power points. This is sufficient for basic usage. However, today with the number of things put to use we often try to gain the most out of power points. But remember there is such a thing as overloading power points. This is hazardous to your home and safety of you and your loved ones. 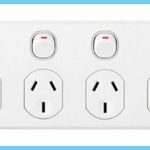 Connecting many appliances at one: Since the room might have only 1 or 2 electrical plug points, most Melbourne home-owners resort to using a power board or double adaptor. Now that may be an efficient way to manage your electrical service needs. However, transforming the power board into one that holds several connections will do more damage than give you a tangled mess of wires. It could result in an electrical overload and a house fire. Appliances that draw high current: Among the different types of appliances, there are certain ones which have a high current rating (draw lots of power). Even if you absolutely must use more than 2-3 electrical appliances you need to make sure they don’t all draw lots of power (high current rating). Commonly used electrical appliances with high current ratings are electrical heaters, trimmers, hairdryers, etc. These tend to draw the maximum electricity in a domestic setup and can definitely lead to a power point overload. A basic-know of the electrical items in your home: It helps to be acquainted about the electrical requirement of your domestic appliances, the different power points available in your home and within each room. Additionally, you should also keep a tab to ensure appliances are not left connected and on when not in use. Protection against overload: There are certain things you can install to prevent a power point overload from getting out of hand. The installation of circuit breakers will help as these are engineered in a way where if too much current (the flow of electricity) flows through the circuit breaker, the circuit breaker will instantly trip and protect the cables from overloading. 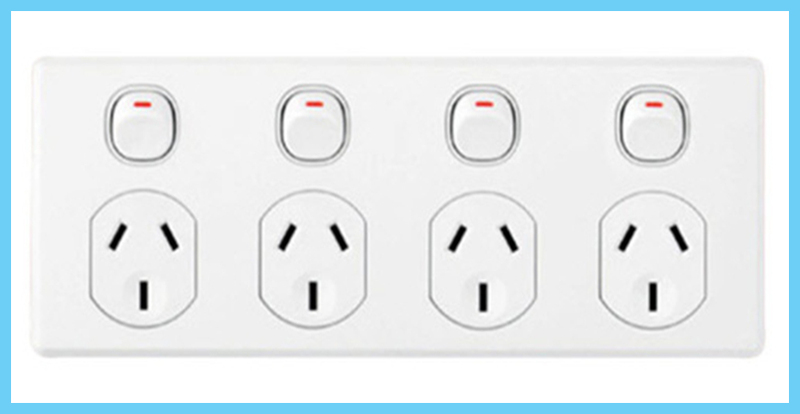 Choose the right power board: there are several power boards to choose from for domestic use. They vary based on their complexity, number of outlets and prices. 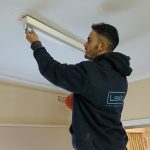 Ensure you pick one that correctly matches your need but remember not to be under the wrong of impression that it is ok to connect several appliances to one main power point in a single room. Another option is to have an electrician install a 4 gang power point. Instead of having a normal single or double power point, we can install a power point with four outlets. This is much safer than a power point as each outlet is rated to 10 Amps. Getting your home electrical checked from time to time: It is always good to have a reputed local electrician inspect your home wirings and power points occasionally. This helps in staying ahead and knowing if a certain point is being overloaded or if any wires need replacement/repair. Additionally, it also helps you get acquainted with the wiring of your home. This way if you need to install an extra electrical point you will have a fair idea where to get it done. A few simple practices today could help protect you from a house fire tomorrow. It may be easy and convenient to convert a single power point in your home into one that can be used for several appliances at once but it really is not advisable as you will be tampering with the safety of your home and the lives of your loved ones. Connect with a reputed electrical service to arrive at a solution catered to your need instead.